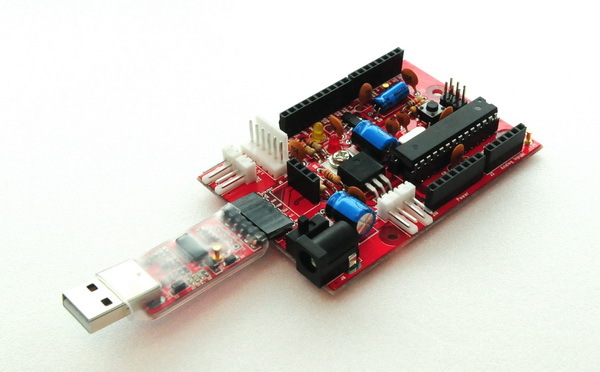 An Arduino At Heart prototyping board you can assemble and solder yourself. The CPU ( ATMEGA328P-PU ) is already burned with Arduino Uno bootloader . User can select two style. the other is buying already soldered & tested product ( asslembled version ). Eventhough you buy DIY version, CPU (ATMEGA328P-PU) is already burned with Arduino UNO bootloader. So, if you finish soldering, then you can test just with sketch program using DM-USB2SERIAL only. 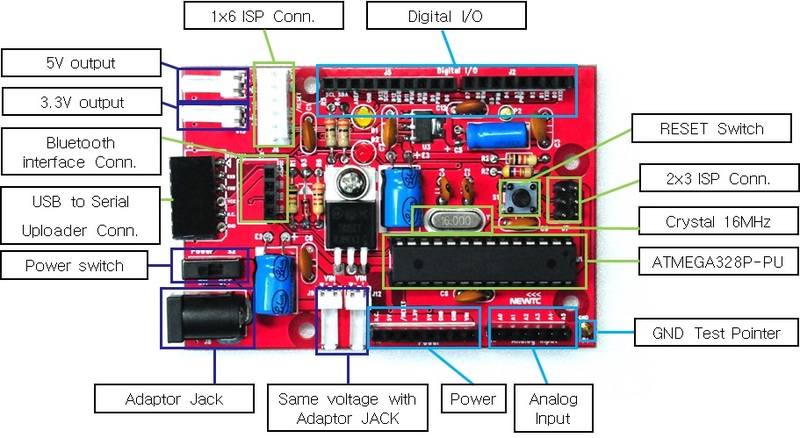 This module uses ATMEGA328P-PU MCU as the AVR microprocessor. System design do not require any complex circuit design steps because ATMEGA328 includes internal ROM, RAM and includes internal AD Converter as well. 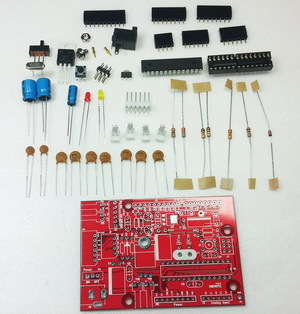 This module includes Main board PCB, ATMEGA328P-PU, Crystal(16MHz), Resistors, capacitors, connectors, and etc. 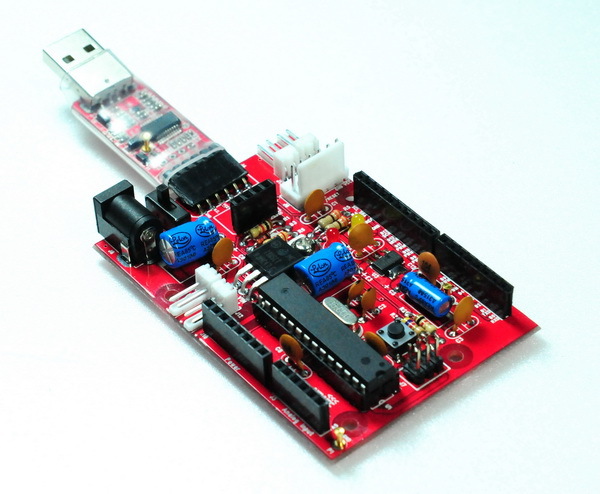 This module can use sketch application of , and be powered with 5V of USB2SERIAL module using USB voltage. At first, the bootloader is already programmed in ATMEGA328P-PU, so user can use directly usb to serial uploader, but also if user need to program bootloader, user should use AVR ISP programmer. 2. USB to Serial module (DM-USB2SERIAL) can give 5V to Usytle module by USB power. to develop product without the need of expensive devices. 4. AD-USBISP(2014.April. V03.6, V6.0) can be connected to both connector. if AD-CSV is attached, then 2x3 pin connector also supported. 2. DM-USB2SERIAL can be connected for uploading software using sketch app. 1. HC-06 module dip type module can be directly connected to this 4 pin connector. also can use as normal AVR MCU development environment and learn. So lots of exercise source code, schematic, lectures etc will be supported to you only if you buy it. 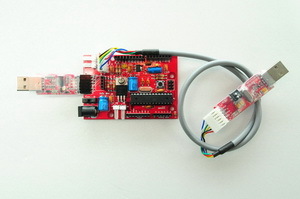 * An Arduino At Heart prototyping board you can assemble and solder yourself. All ports of DM-USTYLE module can access shield module by using compatible Connector. 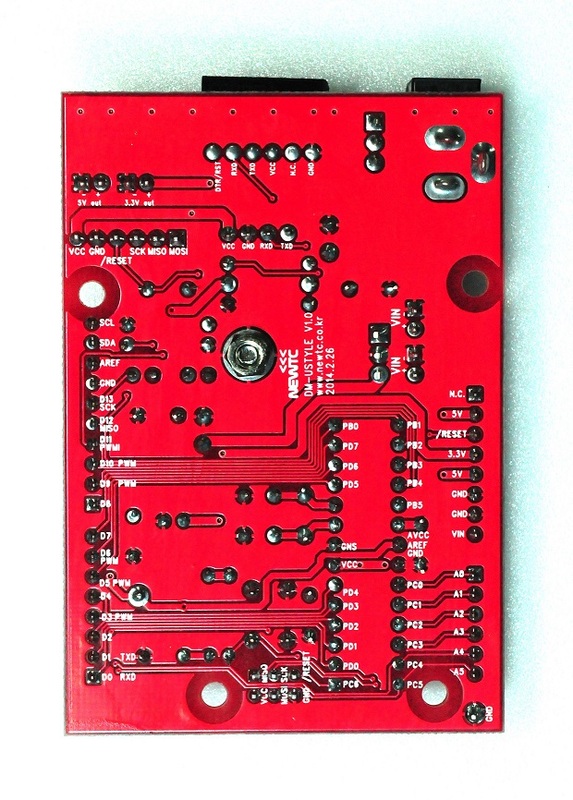 That connector also can be used to connect and drive other modules of NEWTC or self designed board. Program can be written using the sketch software of , and can upload the software automatically if you click program compile & upload menu.